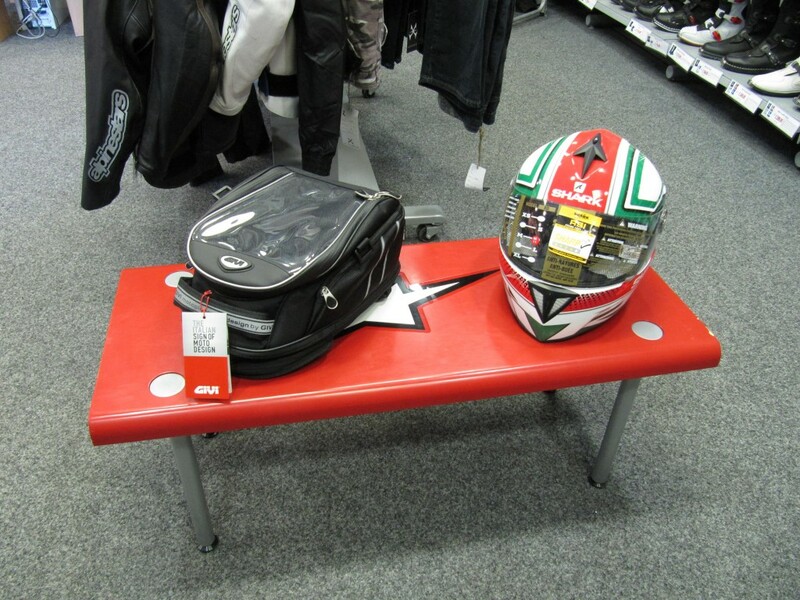 You are here: Home / Givi Luggage Explained / How much is a litre? 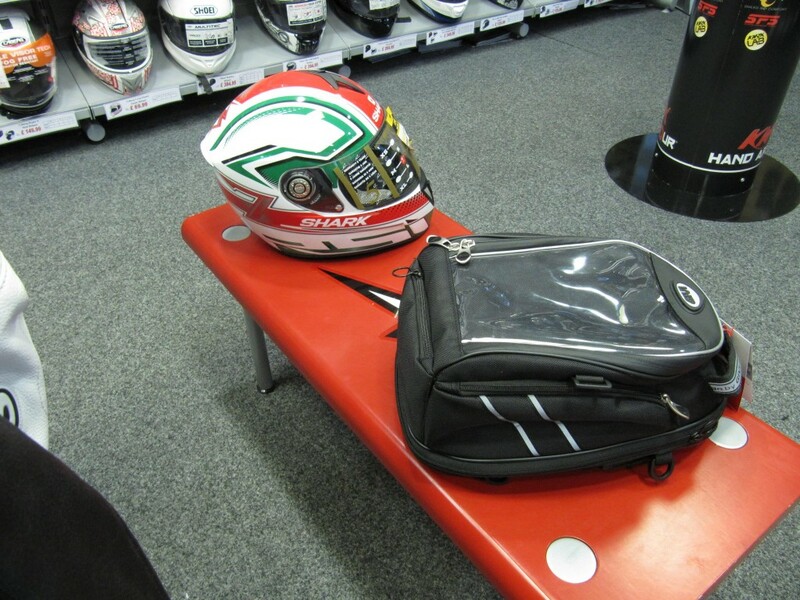 Capacity of Givi Luggage. 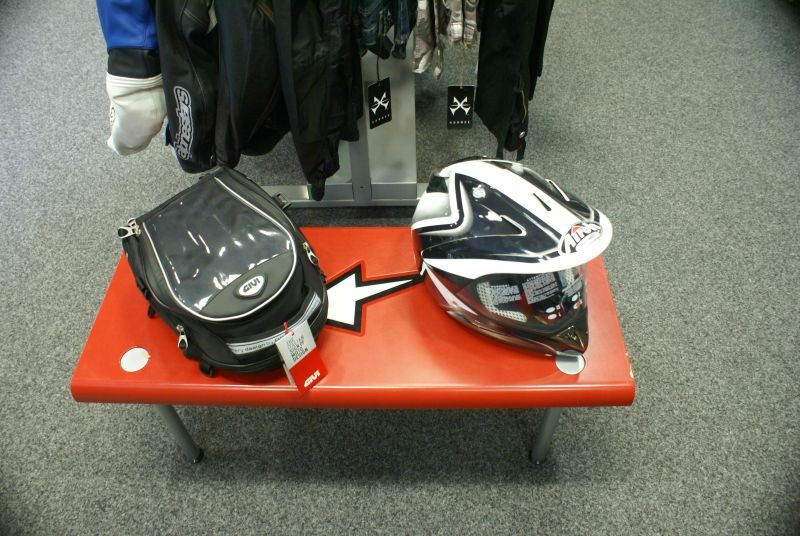 When looking at luggage solutions for your bike they are all listed by their litre sizes. Whilst there isn’t anything practical that is more accurate than this I know that I personally would struggle to be able to tell the difference between 26 litres and 30 litres. Obviously one is bigger than they other but how much bigger and what difference does it make to the size of the box? This guide isn’t going to be an in-depth product focus but an overview so you can judge how many litres capacity you need when shopping for luggage. 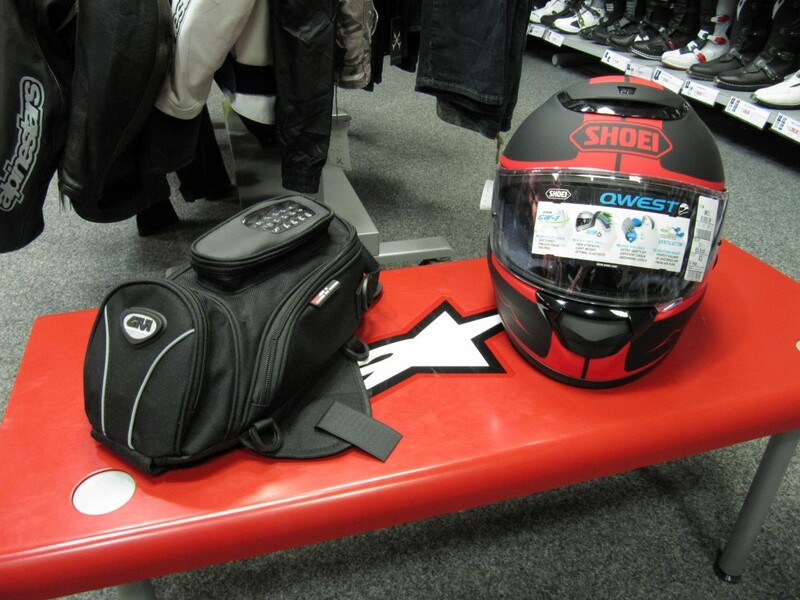 So there it is, you can use the helmet for scale, the Givi T481 inside our very own ghostbikes.com shop! It’s a soft micro tank bag with an advertised 6 litres. Inside this I managed to comfortably fit a T-shirt, a pair of heavy motorcycle gloves and three bottles of muc-off helmet cleaner. At 13 litres we have the T470 in compact form. 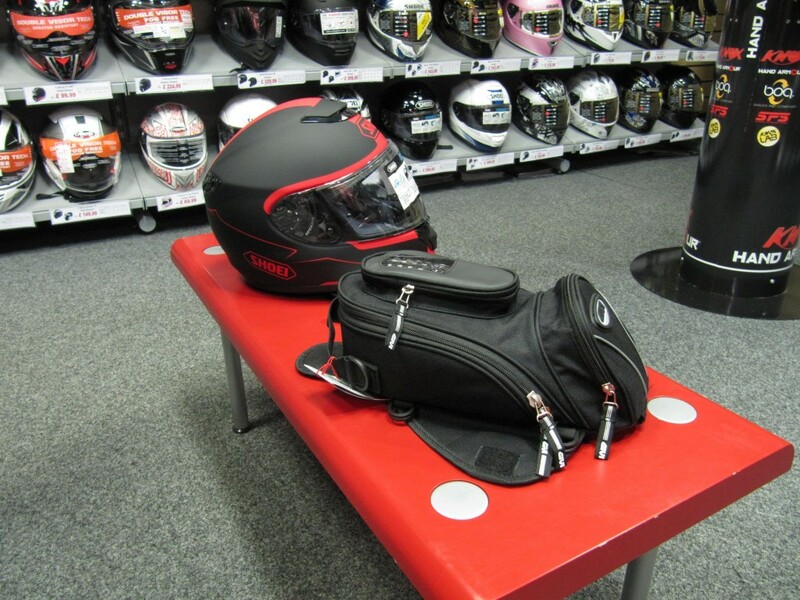 The Givi T470 Tank Bag holds 13 litres when in compact form and holds comfortably holds the gear above. A fair amount more compared to the 6 litres before, you could get jeans and a top inside or any combination similar to the gear that I managed to get in instead if you wished. 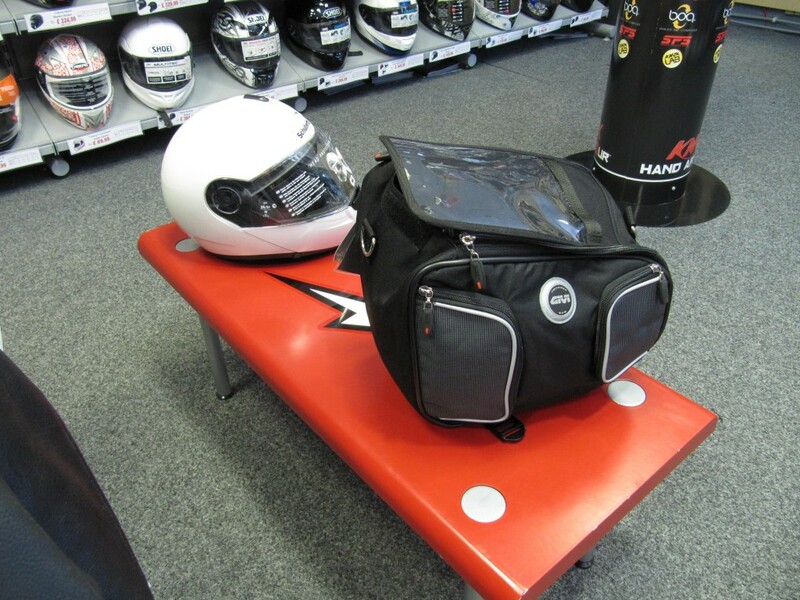 The Givi Silver Range T470 Tang Bag holds 21 litres when extended and is marginally more than the Givi T455 tunnel bag we just looked at. 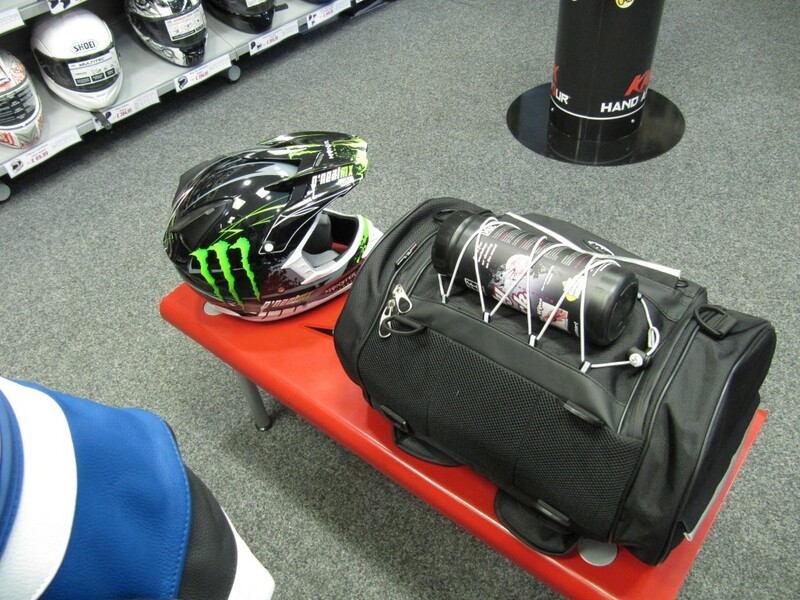 I found it easily swallowed a change of clothes, 1 large bottle of muc off puncture repair fluid, gloves, balaclava. There is a pouch on the underside that I didn’t quite catch in the video that holds a waterproof compartment for Sat Navs or mobile phones etc. 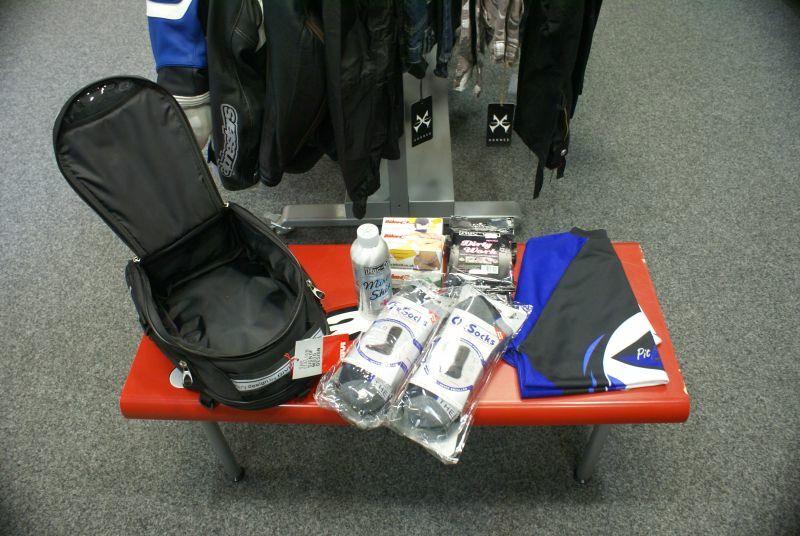 At 33 litres here we have the Givi Silver Range T477. 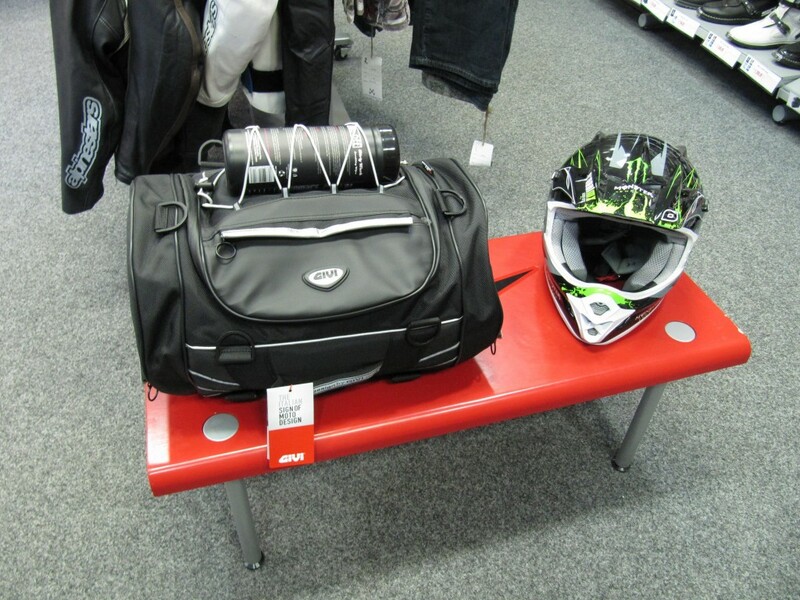 The T477 is a mid sized Roll Bag in the silver range from Givi that despite it’s modest stature absolutely devours just about any luggage you want to throw at it. 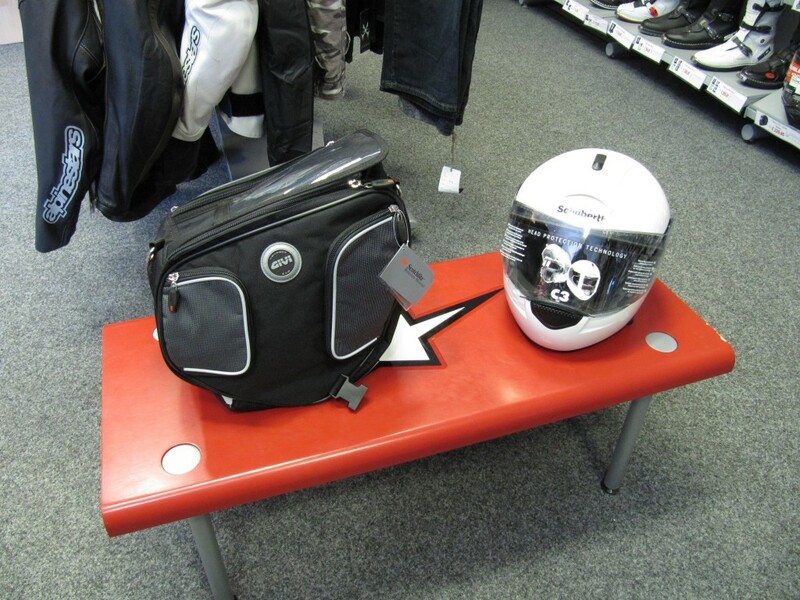 Weighing in at 33 litres capacity the form factor of this bag allows you to really maximise space inside and accessing your stuff inside is easy with the wide zip seam on top and to the side. I managed to fit tons of stuff into this bag, motorcycle textile trousers, jeans, t shirts, lunchbox, chain, packs of socks, a can of WD40, drink, phone, wallet, big tube of work wipes, underwear – all sorts. Hope this was of help to you all! ‘Til next time, HBW.